Cupertino tech giant Apple Inc has announced its latest upgrades to the iPhone lineup today. The launch took place at the company’s Gather Around event. As expected, the iPhones were the center of attention. This is due to the fact that September is reserved for the iconic smartphone lineup that contributes to more than half of Apple’s revenues. The three new iPhones launched today are the iPhone Xr, iPhone XS, and iPhone XS Max. The three gadgets carry the same design theme and bring some new updates over their predecessors. Head over below for more details. 2017 was a big year for the iPhone, as Apple finally broke away with the lineup’s four-year-old design. A True Depth camera introduced on iPhone X ensured a new design theme on the gadget. This year’s iPhone launch makes the change permanent. 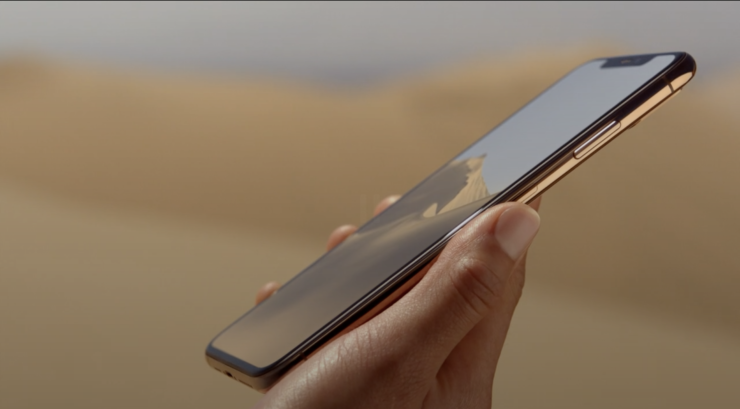 The iPhone XS and iPhone XS Max feature 5.8″ and 6.5″ OLED panels respectively. This makes the latter Apple’s largest iPhone ever in display terms. The gadgets are powered by the Apple A12 Bionic, which is the company’s first 7nm processor. The chip has 6.9 Billion transistors. Its two high-performance cores are 15% faster, and the high-efficiency cores are 50% power efficient as compared to their predecessors. The A12’s neural engine can compute 5 billion operations per second and its GPU is 50% faster as compared to the A11’s graphics unit. The displays are super retina, with 3.3 million pixels for the larger gadget. The smaller iPhone XS has a 2435X1135 resolution. Dolby Vision HDR 10 is also supported. The iPhone XS also features 60% more colors. Face ID also receives an upgrade, with faster algorithms and secure element. 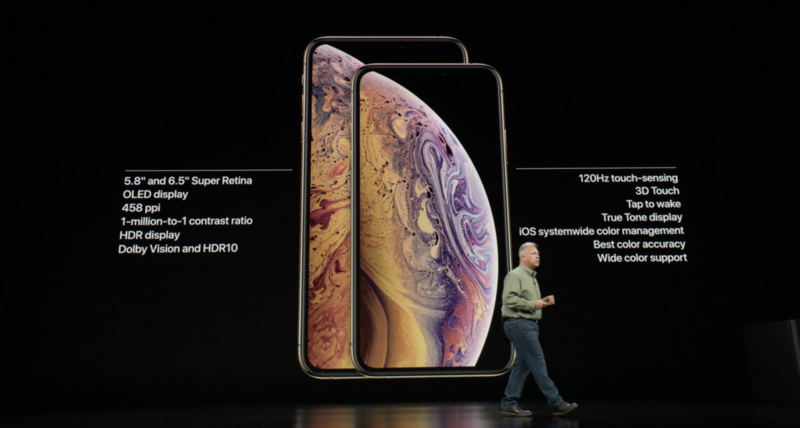 For the rear cameras, the iPhone XS and iPhone XS Max 12MP telephoto and wide-angle camera sensors. These have f/1.8 and f2/4 aperture widths respectively. Both the lenses are six-element and the wide-angle camera captures 1.4µm pixels. At the hardware end, Apple’s ISP will now. work with the A12’s Neural engine to perform up to 1 Trillion operations per second, according to the company. Apple also claims that the iPhone XS and iPhone XS Max are made of surgical grade stainless steel. We also get a Gold color option with the devices. Apple claims that the iPhone XS and iPhone XS Max’s glass is the most durable in its history. IP68 makes it on the pair with protection up to 2 meters. It’ll also endure orange juice and beer, for those interested. The gadgets also feature Wider Stereo sounds, that Apple believes will remove the need of earphones for a lot of use scenarios. The iPhone XS and iPhone XS Max will also record stereo sound. A really cool mention is HomeCourt, which will impress a lot of basketball players. The app will allow a good analysis of shooting angles, release times and other details. As for dual SIMs, only the Chinese iPhone XS Max will feature true Dual SIM support. Apple also finally brought its eSIM on the iPhone. 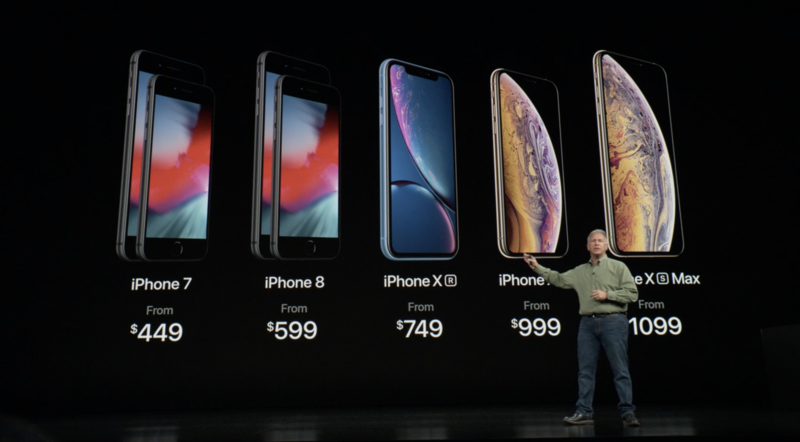 The iPhone XS and iPhone XS Plus will start at $999 and $1099 respectively. The devices will start at 64GB and go all the way up to 512GB. Pre-orders for the devices will start on September 14th and the release date is set for September 24th. All in all, the iPhone XS and iPhone XS Max are everything that we’d expect from an ‘S’ upgrade. Apple’s form and design for the lineup are quite ahead of what’s found on the iPhone 8/iPhone 8 Plus and there’s no need to depart from it in just a year.